Relias Academy is part of Relias, one of the largest online healthcare education companies in the world. With thousands of corporate, not for profit agency and government customers and millions individual users, Relias delivered over 19 million health care education courses through their online platform and offices around the world. 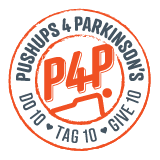 P4P is proud to partner with Relias to deliver education courses for families and professionals to improve the level of care provided to those with Parkinson’s around the world. With your help, we will raise significant funds to increase research opportunities, provide caregiver education and support, and raise quality of life.